If you are dreading the idea of having to plan a move, contact ✹ Honolulu Moving Company – 🚚 the best Kailua Movers and experience a hassle-free and stress-free moving experience. With years of experience of satisfying our clients with our moving services, we can handle even the toughest of relocation processes in an easy, hassle-free way. 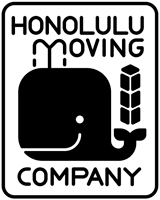 At Honolulu Moving Company, we believe in going the extra mile to provide the best services to our clients. We pay close attention to every minor and major detail when carrying out different aspects of moving. This makes relocation an easier and stress-free feat for our clients. They are required to do nothing but relax as each process of relocation is performed with conviction and excellence by our professionally trained Kailua movers. Another factor that makes us the best Kailua moving company is our market-competitive rates that will not break your budget. Our best Kailua movers are trained to follow all the safety measures to ensure the valuable belongings of our clients are moved to their new address in a safe manner. Even in an unfortunate case of an accident during the transit, our clients will not have to bear any losses as we are a fully insured company. Call us at 📲 808-206-9817 now for more information. 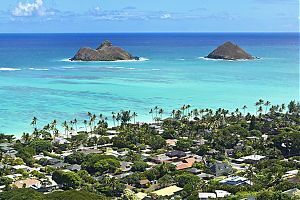 We are a leading name among Oahu Movers for top quality relocation services. Apart from our moving, packing, unpacking, and storage services, we have also earned a great reputation for exceptional customer care services. 1888 Kalakaua Ave # C312, Honolulu, HI 96815.